The Fish Bowl Vacation Rental Home near Sombrero Beach!! With local employees in Marathon, we offer grocery services and packages that will make your stay a Breeze. We offer a team of local area experts to help you create the perfect vacation experience. Our waterfront properties are located in highly sought out neighborhood of Marathon and Key Colony Beach. Come stay with us in Marathon, FL, the heart of the Florida Keys! The city of Marathon is nestled in the center of the Florida Keys island chain - just one hour from Key West and Key Largo. This collection of keys offers white sand beaches and beautiful, warm weather for the ultimate in relaxation. Our Marathon vacation rentals are situated just minutes from the best the city has to offer - many even have private docks, pools and gulf views! Locally owned and operated, Island Breeze Vacation Rentals specialists will assist you in finding the perfect vacation rental home, villa or condo. Regardless of the size or makeup of your group, we have a rental property to meet all your needs and desires in every price range. We offer weekly vacation rentals, monthly vacation rentals and seasonal rental properties. Planning to bring your dog along? 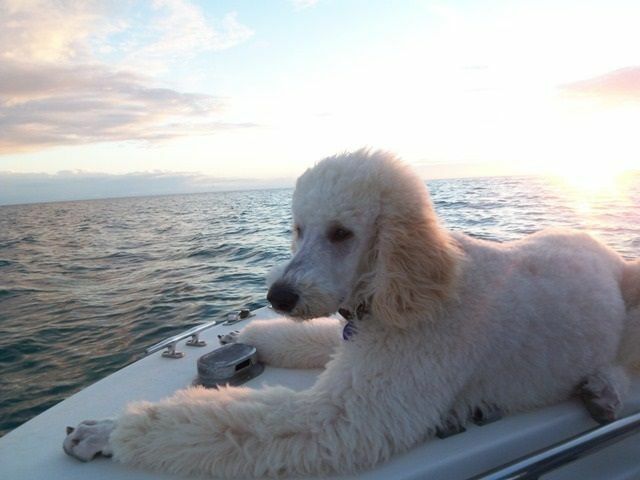 We have gorgeous pet friendly homes in the Florida Keys for you and your family to enjoy with your furry friend! Island Breeze Vacation Rentals has a rental property manager available to you 24 hours a day, everyday. If something comes up unexpectedly with your property rental, we will minimize the effect it has on your vacation. Our goal is for you to enjoy the vacation of a lifetime and continue to visit our Florida Keys vacation home rentals again and again for years to come. Your Florida Keys vacation is our number one priority at Island Breeze Florida Keys Vacation Rentals! We pride ourselves on the personal attention we devote to our guests and owners alike. Our team of vacation rental experts knows the Florida Keys as only the locals do. We will guide you to the ultimate that Marathon and Key Colony Beach, Florida have to offer, including dining, shopping, fishing, scuba diving, snorkeling, and more things to do in the Florida Keys. Spend your days laying out on one of the Marathon area beaches like the famous Sombrero Beach or the stunning Bahia Honda Beach, state park and bridge. Within minutes of your rental home, you'll find some of the best opportunities to dip your toes in the Atlantic Ocean. In Marathon, you can swim with dolphins at the Dolphin Research Center or check out our unique nonprofit Turtle Hospital. Take a day trip to Explore Key West and snorkel in the iconic Dry Tortugas National Park, or visit Islamorada and view an aquatic life show at the Theater of the Sea. While staying in the heart of the Florida Keys everything is just a drive away.